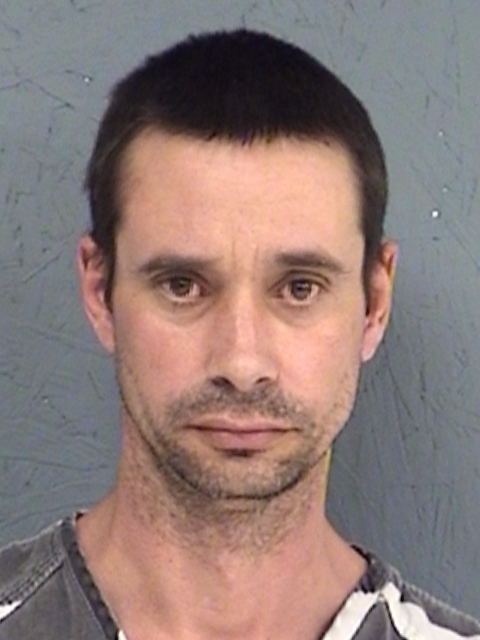 Sulphur Springs Special Crimes Unit and Hopkins County Criminal Investigator Wade Sheets executed a search warrant at Econo Lodge in Sulphur Springs regarding drug activity. Multiple buys of over 20-grams of methamphetamine over the past month led to the warrants, according to SCU officers. In serving the warrants, law enforcement found a total of three pistols and two pellet pistols, multiple pieces of Penalty Group 1 drugs including 15.4-grams of meth and 2.3-grams of heroin. Penalty Group 2 prescription pills and 9-pounds of mescaline mushrooms were also found. Devices such as tablets and cellphones along with jewelry were also found. Much of what was found was located in a safe and other items in a safe style bag. A large amount of drug paraphernalia were found along with several pieces of jewelry. Jeremy Lynn Sharp, 42, a resident at Econo Lodge was booked into Hopkins County Jail late Wednesday afternoon charged with Possession of a Controlled Substance Penalty Group 1 more than 4-grams but less than 200-grams; Possession of Controlled Substance Penalty Group 2, more than or equal to 400-grams, and Unlawful Possession of a Firearm by a Felon. His criminal record goes back to 2002 reaching from York County, Maine to Fannin County, Texas and Sulphur Springs and Hopkins County.